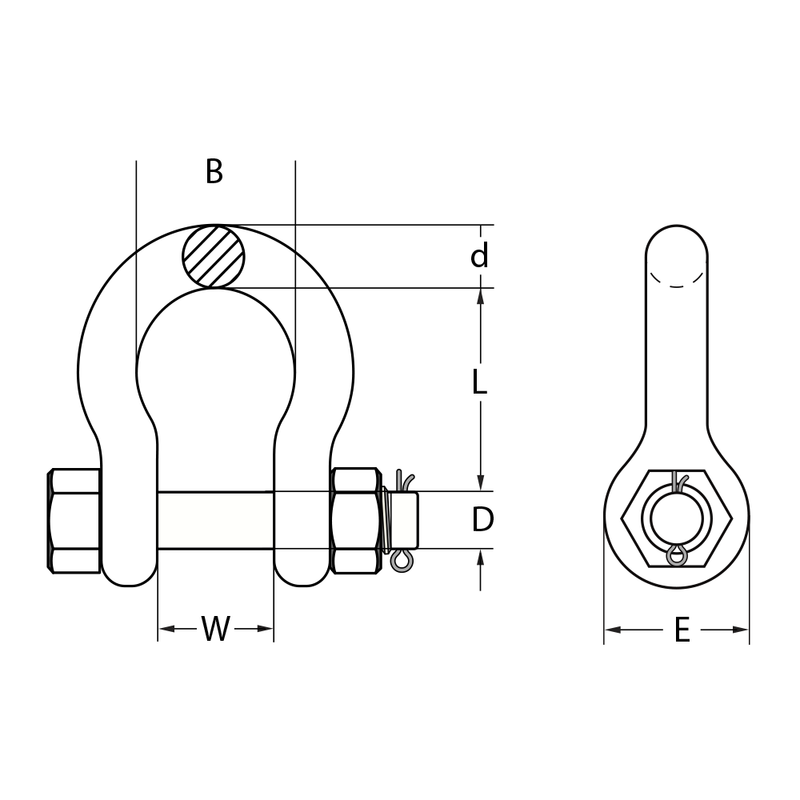 Safety Pin Bow Shackle are most commonly used for lifting applications, providing more permanent connections to Chain, Wire Rope and other rated fittings within the Marine, Agricultural, Mining and Engineering Industries. Suitable for equipment that may vibrate to ensure pin will not dislodge during use. The Safety Pin allows the pin to rotate during loading conditions. • Marked with work load limit in tonnes, quality grade, batch numbered, nominal size in millimetre and supplier identification. • Proof tested to 2 x work load limit, with a minimum break force of 6 x work load limit. Test Certificates are available upon request. 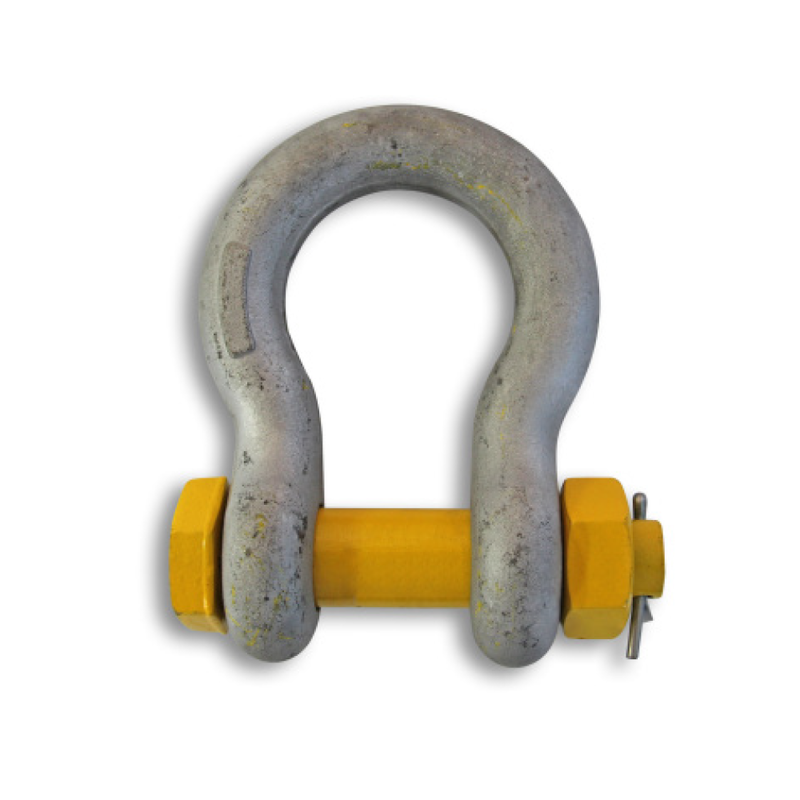 • Suitable for lifting applications.